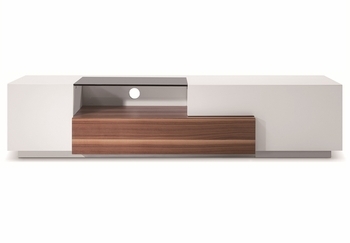 One of our best selling Tv Units jn an exciting new white lacquer / walnut finish! This Entertainment TV Center offers a contemporary look with a clean uncluttered design and functionally multipurpose structure. Crafted from durable wood, wood products and veneers.